We believe in keeping things simple. We focus on delivering our customers quality products that get the job done and last long. And this is exactly what these door stoppers are all about. With our Lifetime 100% Satisfaction Guarantee, you will never have to worry about buying yet another door stopper - if you are not completely satisfied with the Home Premium Door Stoppers, we will refund your money. No questions asked! 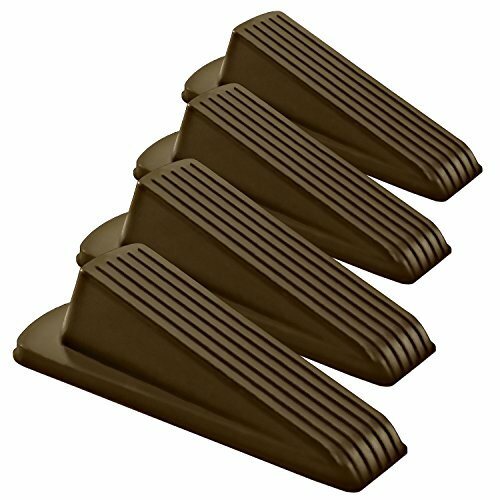 BIGGER, STRONGER, VALUE PACK - No more placing door stops on top of each other to hold your door open. Get this improved version which is bigger and more solid compared to other rubber door stoppers you'll see at hardware stores. They can hold doors with clearances up to 1.2" and they measure 4.5" X 2.05" X 1.2"
If you have any questions about this product by Home Premium, contact us by completing and submitting the form below. If you are looking for a specif part number, please include it with your message.